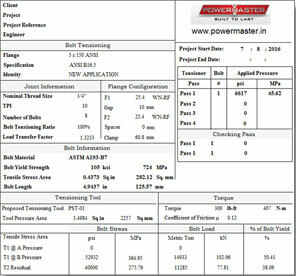 Powermaster software permits users to manage and calculate bolt tensioner pressures. It has been designed with the vision of minimum input and maximum output. Documentation for multiple bolted joint projects can be created quickly with minimal operator input. The software contains data for the following standard bolted flanges. This software is suitable to use by bolting companies who have to provide bolted joint tensioner data sheet to their customers. The output documentation can be easily changed to exhibit the companies name and logo. The documentation package consists a summary sheet which provides an overall list and information of all applications in the project and individual detailed application sheets for every single joint in the project. 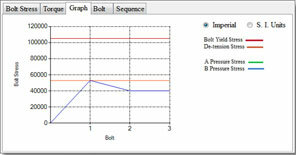 Displays the torque sequence and application torque value when bolting method selected is TORQUE . 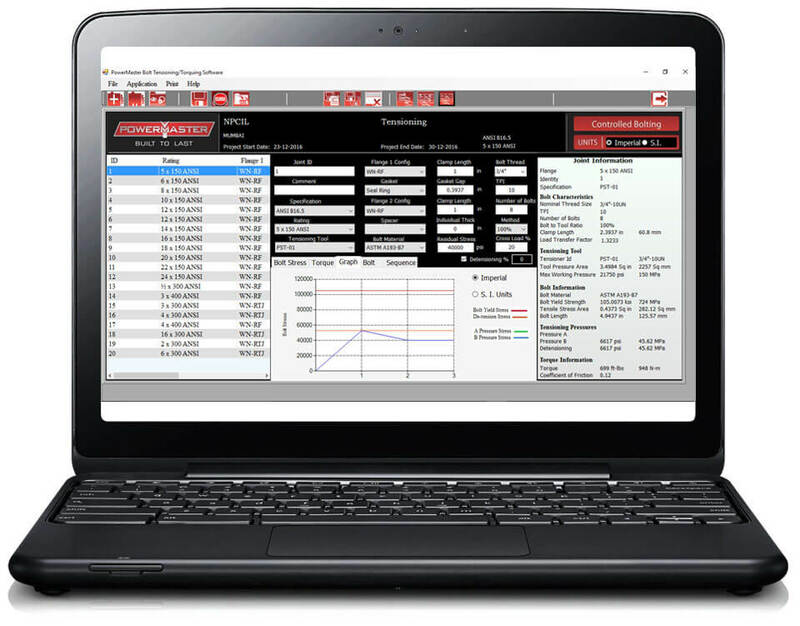 The Powermaster Bolt Tightening software in many cases would recommend a preferred bolt stress based on bolt loads specified in the different bolt flange specifications. 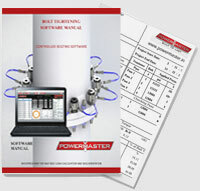 This software can also be used on non standard bolted joints. In “Manual Mode” the user enters the information such as bolt diameter, clamp length & bolt load and the software will select the suitable Powermaster tool and generate the desired pressure and tightening sequence to apply the selected tool. The software generates a live bolt stress graph so that the user at first sight can see what proportion of the bolts tightening capacity is used.